The Client receives a stamp for each product purchased. 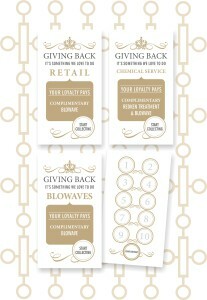 On completing the card the client is entitled to a complimentary blowave. Includes all colour, plastics, brazillian and relaxer, after 10 stamps on the card the client is entitled to a complimentary treatment and blowave. The client will qualify when they come in for a blowave only. 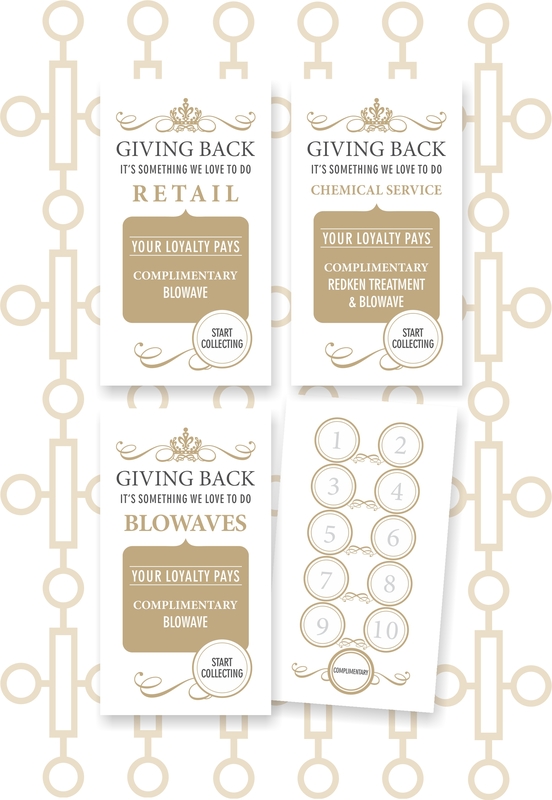 On completing all 10 stamps the client is entitled to a complimentary blowave.